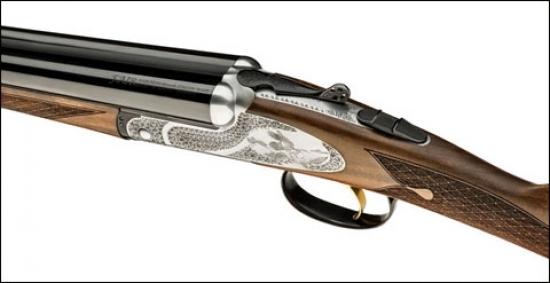 Shotgun Life - A Side by Side Called Iside Heralds the Return of Italian Gunmaker F.A.I.R. to the U.S.
A Side by Side Called Iside Heralds the Return of Italian Gunmaker F.A.I.R. to the U.S. Welcome back to America, F.A.I.R. After five years, Fabbrica Armi Isidoro Rizzini, known to its friends as F.A.I.R., has returned to the U.S. with an expansive inventory of affordable Italian shotguns and rifles. The homecoming is expedited through an agreement in 2014 with exclusive importer, the Italian Firearms Group (IFG) – a consortium of four Italian firearms manufacturers and an American partner that operates from an 8,000 square foot warehouse in Amarillo, Texas. The original IFG had ceased importing F.A.I.R. long guns in 2010, but the new organization is in full swing with the backing of Italian gunmakers F.A.I.R, Sabatti, Pedersoli and Tanfoglio. Prior, New England Arms Corp. of Maine brought the guns here until the late 1990s. These Italian brands are no strangers to American shooters. We’ve enjoyed the shotguns under their own names and perhaps unbeknownst to some as Verona, Savage and others. Regardless, F.A.I.R. 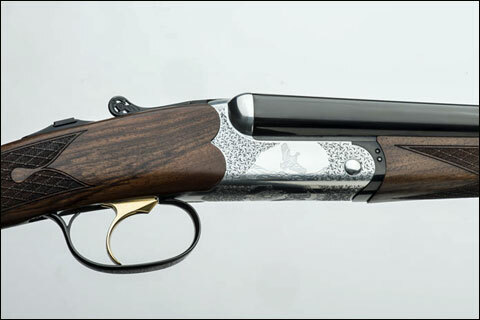 and Sabatti delivered rugged wing and clays shotguns at a price point appreciated by many. 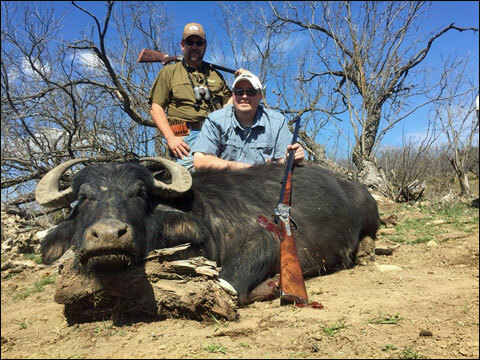 Justin Dodd (right), COO of IFG, with an Asian water buffalo taken with a Pedersoli Sharps in 45-70. Professional Hunter Larry Pancake backed him up with a Sabatti Big Five EDL in 470 N.E. The F.A.I.R. Pathos over/under ships in all gauges and starts at $2,497. For F.A.I.R. that includes the Pathos, SLX 800 and SLX 800 Side Plate over/unders in addition to the Iside side by side. Each shotgun is available in gauges ranges from .410 to 12 and in barrel lengths that vary from 26 inches to 30 inches as well as several grades that provide a price range of $1,600 to $6,000. IFG is also importing Sabatti over/unders that have been popular in Europe for years – the Falcon, Adler, Pointer, Griffone, Olimpo, Artemide, Jaguar, Alpen Eagle and Fulgor Trap. Like the F.A.I.R.s, the Sabattis are offered in popular gauges and barrel lengths with most priced under $2,000. This F.A.I.R. features an engraving taken from a photo of Justin Dodd’s daughter. Moreover, IFG has the ability to execute custom engraving. Mr. Dodd owns a F.A.I.R. 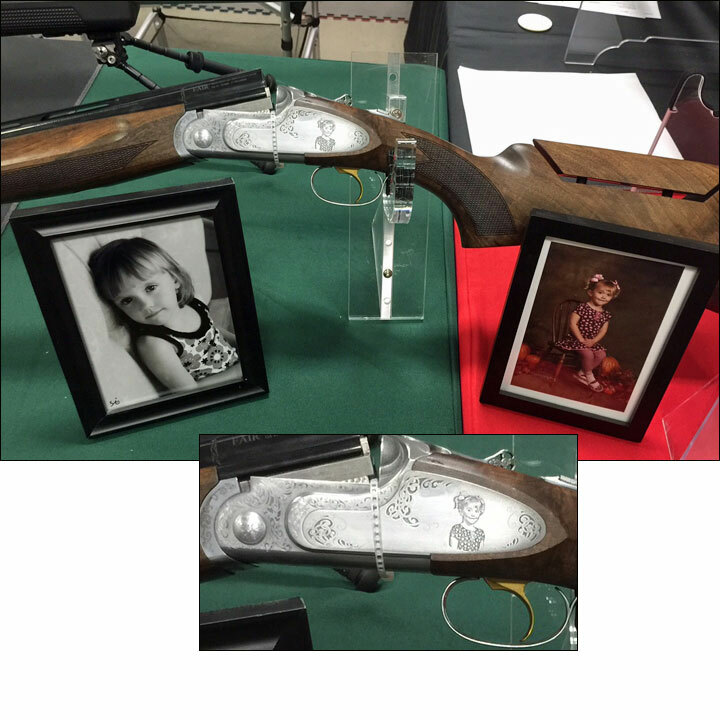 sporting gun with sideplates that feature an engraving of his daughter taken from a photo. He said that service is available on F.A.I.R. and Sabatti firearms. “If you have good quality art work, we can make it happen,” he said. The extensive inventory of wing and clays shotguns from IFG can potentially change the dynamic of the affordable category to the benefit of enthusiasts. F.A.I.R. and Sabatti are known entities from having been stocked in big box sporting goods stores and local dealers. Sales have continued to percolate in the U.S. with used models available online – the ongoing activity maintaining brand awareness even during lapses when the shotguns weren’t imported here. Plus the shotguns have sustained a reputation for workhorse reliability. Overall, the shotguns have benefitted from a robust history of the manufacturers. F.A.I.R. has been in business since 1971 and Sabatti started in 1960 (with family gunmaking roots dating to the 17th century) and over the decades they have gained strong followings in Europe and a smaller but dedicated fan base in the U.S. The potential exists here for a F.A.I.R. and Sabatti renaissance fueled by attractive new models and factory-trained service technicians. Ultimately, the key word here is value – that ideal balance of price, quality, service and appeal. Detail of the sideplate engraving on the F.A.I.R. Iside Prestige. As a benchmark, we shot a F.A.I.R. 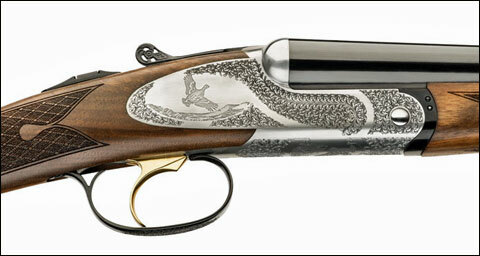 Iside Prestige in 28 gauge, since IFG believes these bird guns, especially in sub-gauge, will prove popular. Iside is Italian for Isis, which is the Egyptian goddess of motherhood, fertility and magic often depicted as a slender beauty – an apt affinity with the rounded and scaled frame of the 28-gauge Iside. The slender profile of the F.A.I.R. Iside Prestige. The F.A.I.R. Iside boxlock family is manufactured in all gauges (including 16 gauge) – each with its own dedicated, rounded, steel frame. Engraved side plates differentiate the Prestige from the less expensive EM, which itself is adorned with acanthus scroll and game bird cameos on a silver, scalloped receiver. The Prestige engraving is similar but created on a larger expanse. Isides arrive from Italy sporting a selective single trigger, and hand-rubbed, oil-finished walnut on straight English grips and splinter forends finished with laser checkering. The Anson & Deeley forend button on our model functioned smoothly and provided wobble-free lock-up. As a footnote, Mr. Dodd said that we can expect double-trigger Isides as well. Cosmetically, engraving on the fences and a long trigger tang would have enhanced the shotgun’s classic sensibility, but price often dictates aesthetics. That said, with a seamless wood-to-metal finish, flawless gloss on the 28-inch blued barrels, skeleton top lever and an alluring smoky figuring on the walnut,the Iside Prestige remains quite striking at its suggested retail price of $3,075. There’s an epiphany with the 28-gauge F.A.I.R. Iside when you pick it up for the first time. It’s the surprise in how comfortable the shotgun feels − petite, organic and nimble at 5 pounds, 6 ounces. At that price you might expect the F.A.I.R. Iside to suffer from muzzle bias, ungainly forend heft or component slop. Instead, you’re struck by the sensation that it’s a splendid little confection of a bird gun that immediately feels easy to shoot. Since the shotgun arrived in June we took it to the sporting clays course. The trigger was a gem with smooth and predictable draw that averaged a lovely 3½ pounds of pull. You would be hard pressed to find a nicer trigger on a bird gun costing twice the price. The Iside Prestige from F.A.I.R. showed excellent wood-to-metal finish. On the sporting clays course, the F.A.I.R. Iside conveyed a well-constructed totality – meaning there were no quality-related distractions while shooting it. 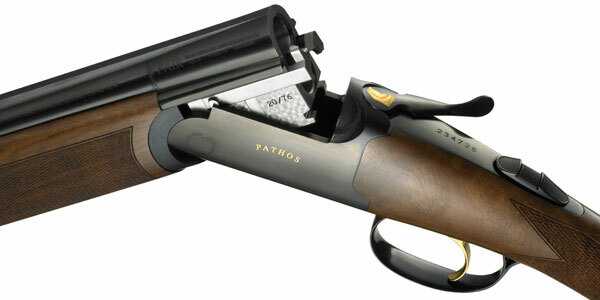 The shotgun closed tightly and with authority thanks to the sturdy under-lug and meticulous CNC tolerances. At the same time, the F.A.I.R. Iside opened quite comfortably with zero lateral wobble. Ejectors tossed hulls as expected. In the ready position, and throughout the mount, the shotgun felt taut, predictable and well-balanced with the rounded edges of the receiver transmitting a collaborative nuance of control. The F.A.I.R. Iside ships with five flush-mounted chokes. We used improved cylinder in the right barrel and modified in the left. Had we been on a quail hunt, we certainly would have opted for the cylinder and improved cylinder instead. The comb drop was slightly higher than we’ve seen on other bird guns – enabling a clear view of the clays. Target acquisition was quick, but it took nearly two boxes of shells to figure out the point of impact. Into the third box, we started running stations with the F.A.I.R. Iside. The side by side shot flat in a typical upland delivery, while elongated forcing cones consistently reached out to far-flung presentations – quite helpful in a covey flush after it can take a moment or two to identify your target in the baffling surge of wings and feathers dispersing into the cover. Before we realize it bird season will arrive. If a new side by side is calling to you, check out the affordable Iside from F.A.I.R.